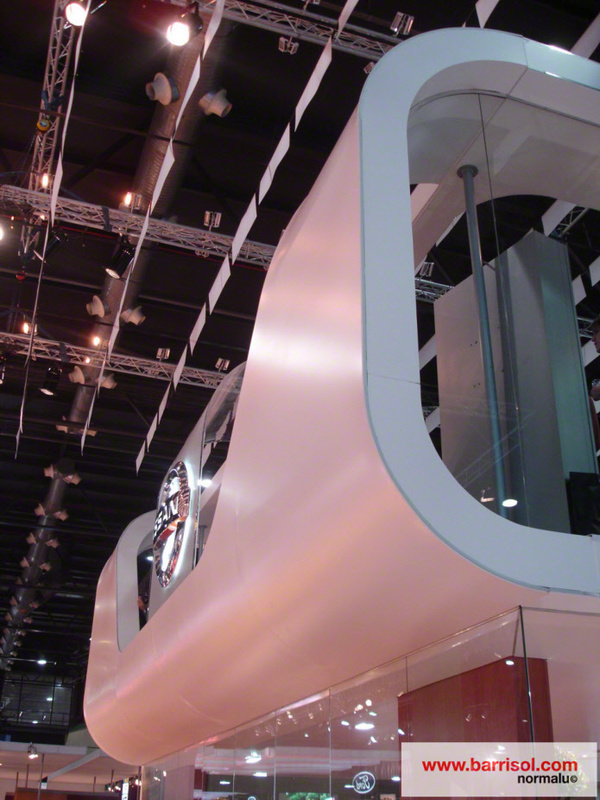 This two stages stand was designed by the architects Maria Beatriz Blanco and Villanueva Hnos. 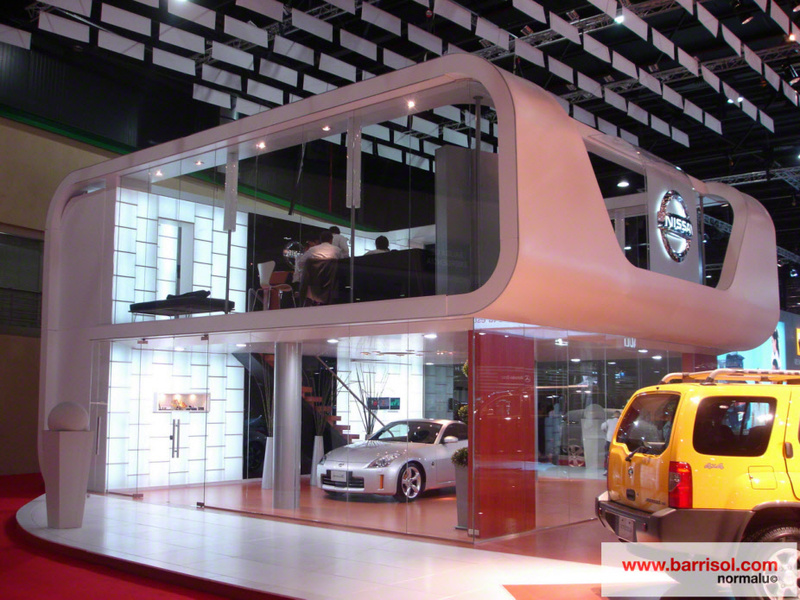 The Barrisol sheets cover this design structure with elegant forms. The luminous wall offers luminosity and soft colors. 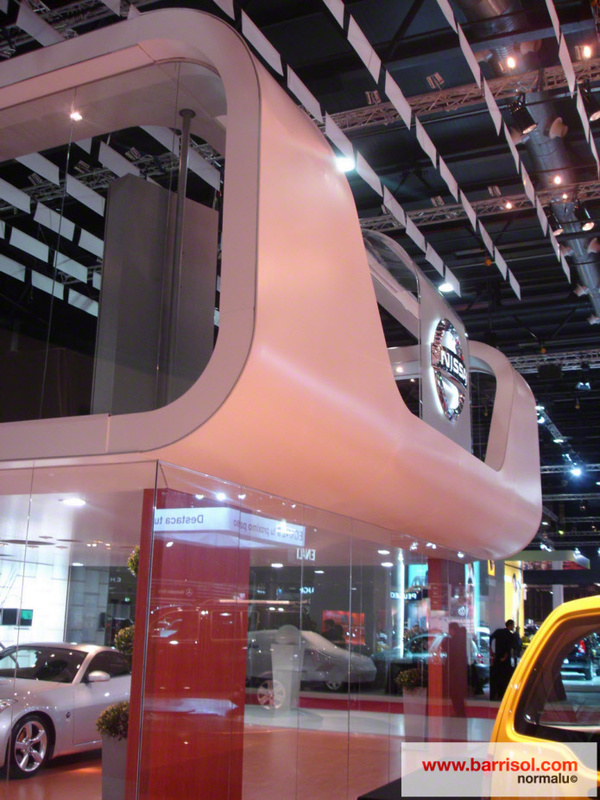 Opened on outside thanks to its glazed walls, the Nissan stand invites to discussion.